It is a cool blue that has a bit of violet in it. 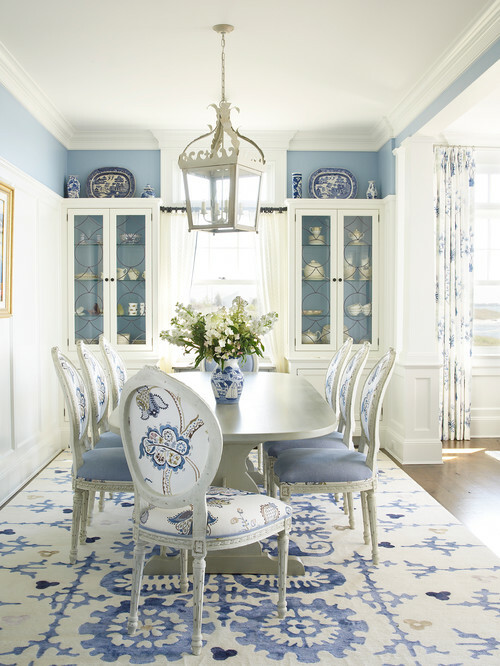 I have heard it described as Sky Blue, Country Blue, Periwinkle, and Cornflower. I think that is because when seen in shades from dark to light, it really covers most of these hues. (or at least these colors would all work together). The biggest defining character of the shade is the purple/violet undertones. For me, the chairs in this image (above) capture Serenity the best. So, I guess this is why it is described as similar to Periwinkle or Cornflower. These dining chairs are a softer, almost antiqued version. However, the rug contains more of the brighter tones. 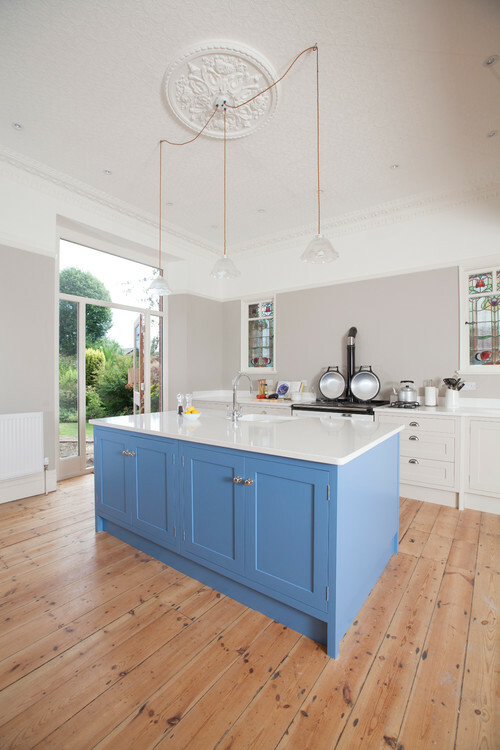 Serenity is a color that can easily be added to a kitchen. Consider using it to create drama for a stand out piece, such as this island. 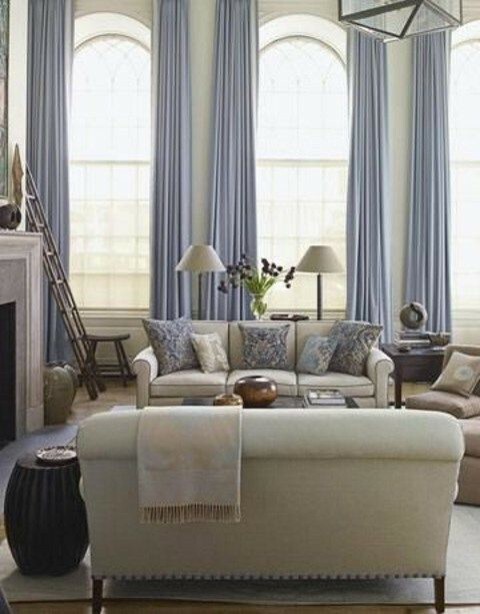 Just as Rose Quartz, Serenity works great for window treatments. Because this shade works well with all neutral shades, it is easy to create a whole new look for a room, by just changing the color of the drapes. It’s also is a popular choice for bedrooms. 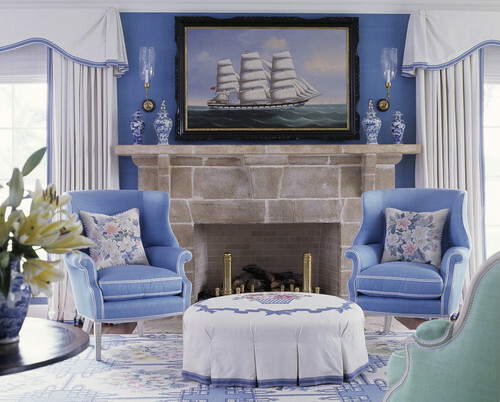 Because it can be done in a softer version, this color does just what its name implies – creates a serene space. 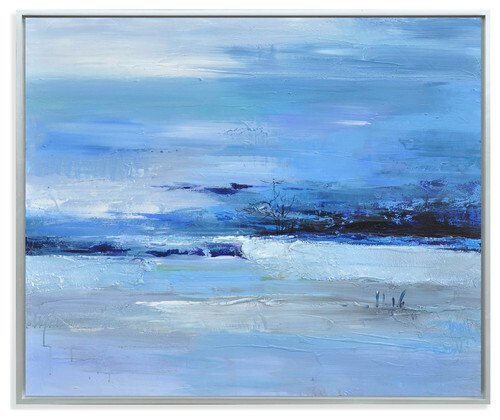 Add in a few splashes of accents done in the darker version for a pop of Wow. I love this room for an example of how the color can be used in all of it’s glory. So, which piece is the true Serenity? I’ld call it for the pillows. But depending on who you ask, it could be the circles in the rug, the door, or the stripes in the chair. So, lets just go to Pantone’s images. I hope that you find a way to add this beautiful color to your home interior, even if it’s a temporary addition. 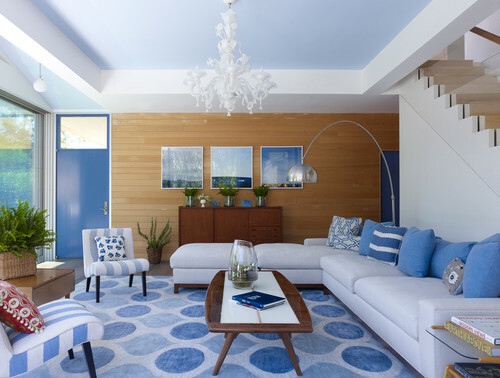 Blue is the color for eliminating stress, and Serenity does this quite nicely. In the meantime, check out Rose Quartz to see its warm companion.